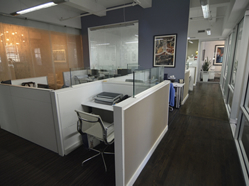 Sublease opportunity along Park Avenue South - 6375 SF. 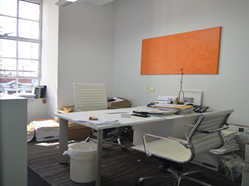 of available office space - call for price. 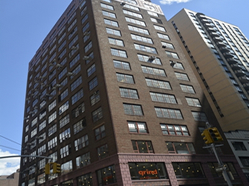 Along Park Avenue in the Plaza District near 56th Street stands a pristine oasis to business in the form of a 3507 SF. office ready for occupancy. 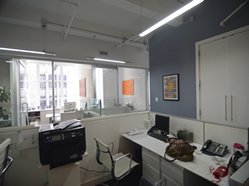 This top quality commercial unit overlooks the Midtown Manhattan neighborhood corridor helping to cement and inspire both your staff and clients from a 31st floor vantage view. 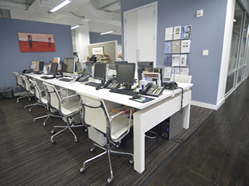 An amazing corporate office space located minutes from Grand Central Terminal within a top luxury Class A commercial building that features a fully renovated lobby, updated elevator systems, and 24/7 concierge. 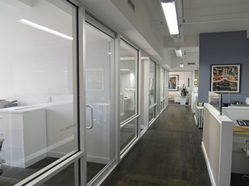 The space itself contains six (6) glass and wood fronted windowed private offices, one (1) large glass fronted conference room windows overlooking the East River below, an I.T. Closet with 20 Ports and their respective drops at each desk/workstation throughout. 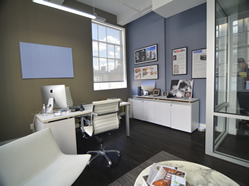 The unit is further complemented by the addition of a modern reception desk and a top-of-the-line pantry; all of which help to complete the space. This spectacular unit has high finished ceilings and large expansive windows on 3 sides (corner unit – see photos), which allows the space to be flooded with an abundance of natural light. 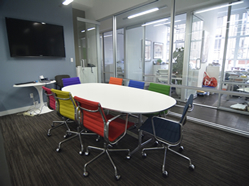 In total this inspiring commercial space would be great for any type of professional including media, tech, financial or any other industry looking for an exciting prebuilt office space. Tenants and guests of this Fifth Avenue High-rise Tower are met by a superb marble and granite entrance upon arriving through the entrance. This 52-story building, designed by Kohn Pedersen Fox Associates, boasts unparalleled views of both Central Park and Midtown Manhattan and offers first class conveniences to its impressive tenant roster. The office tower is within walking distance to numerous luxury hotels, museums and retail stores! - Phones & Furniture Optional, "Plug & Play"
"NOrth of MADison Square Park" NoMad is a neighborhood centered around the Madison Square North Historic District in the borough of Manhattan in New York City. The name NoMad, which has been in use since 1999, is derived from the area’s location north of Madison Square Park. The nameless neighborhood in that brown taxi-map rectangle—roughly bordered by Madison Square Park to the south, 34th Street to the north, Broadway to the west, and Second Avenue to the east—has always resisted such neighborhoodification, despite boom times and persistent attempts. NoMad is served by four New York City Subway stations. The 23rd Street and 28th Street stations on the BMT Broadway Line offer service on the N Q R trains at Broadway. The 23rd Street and 28th Street stations of the IRT Lexington Avenue Line are both located on Park Avenue South, offering service on the 4 6 <6> trains. The area is served by the New York City Bus routes M1, M2, and M3 on Park and Madison Avenues (northbound) and Fifth Avenues (southbound), with M5 service also on Fifth Avenue southbound. M5 and M7 service runs on nearby Sixth Avenue. The M101, M102, and M103 routes run on Third and Lexington Avenues, northbound and southbound, respectively. There is also M23 crosstown bus service on 23rd Street.